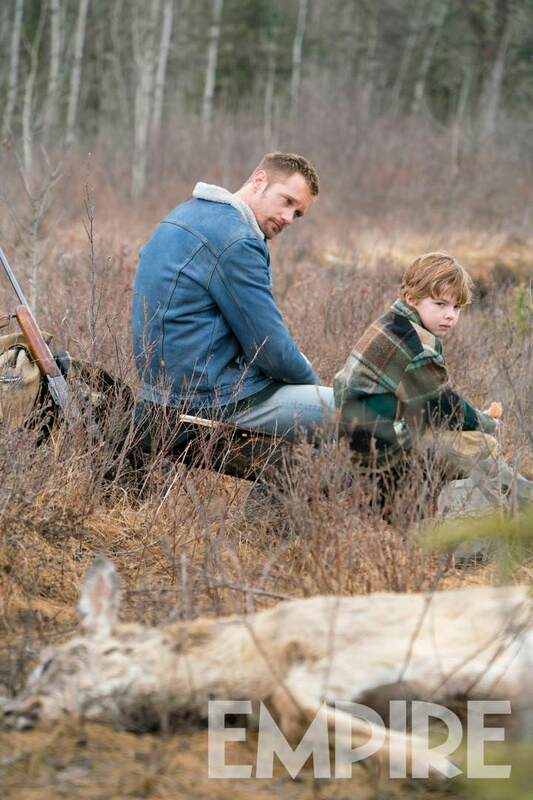 “Green Room” and “Blue Ruin” filmmaker Jeremy Saulnier has released the first photo from his upcoming feature thriller “Hold the Dark” at Netflix. Set in the remote Alaskan wilderness, a child (Beckham Crawford) is taken from his village by a pack of wolves. An expert hunter (Jeffrey Wright) is summoned to track and destroy them and his mission leads him down an increasingly dark and shocking path as he confronts the cruelty of nature and his own failures as a man. Alexander Skarsgard plays the child’s grief-crazed father who is closing in behind him, while an unforgiving landscape lies ahead – so who is really being hunted. James Badge Dale also stars in the film which hits the streaming service on September 28th.